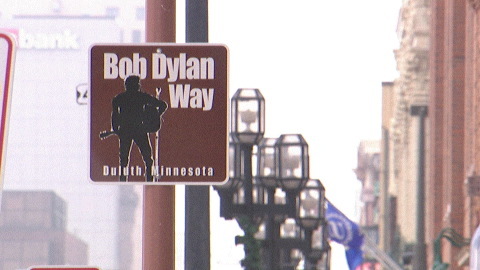 In 2006 Bob Dylan turned 65, and to celebrate, some people in Duluth, MN got together to raise some money and post some signs on the newly proclaimed “Bob Dylan Way”. At first I thought that would be the entirety of this post – you know, maybe also throw up a picture of one of the signs – but then it turned out: Bob Dylan Way has a website. You can learn a lot about this. For instance, there are 30 signs. It’s 1.8 miles long. Dylan is Duluth’s native son (though I’m sure Hibbing has something to say about that) and more. You can even donate money. 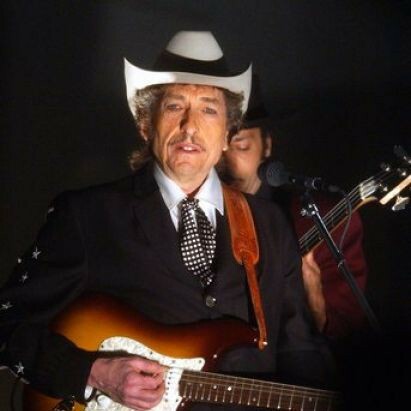 I’m putting this here mostly because I’m confused as to whether Bob Dylan Way opened in 2006 or 2007. The website says 2006 (which would make this late) but Bjorner says 2007. Since he is almost never wrong about anything, I put it here. But I have to believe that I missed the week on this one and that the website is actually correct. Consider this another reminder that Bjorner is your best one stop shop for everything Dylan related.